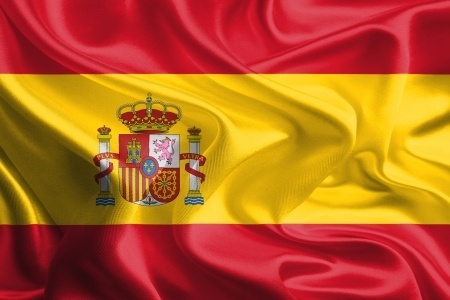 Spanish is among the 10 most widely spoken languages in the world. It is estimated that nearly 150 million people consider Spanish as their mother tongue. To help you communicate in this language, our translation agency has specialized in English to Spanish and Spanish to English translation. Translation is an essential resource for advancing in the globalization process. Thanks to translations from English - Spanish you will have the chance to offer your products in different parts of the world. If you need a translation into Spanish, look no further; we offer you an unbeatable translation service. We have the collaboration of highly qualified professional translators with extensive experience in the translation of scientific, technical, medical and financial texts, and many more. We do all types of specialized translations regardless of their language of origin, by providing a Spanish technical translator. For some time now it goes without saying that Spanish is one of the most prevalent languages in the world, so perhaps it is appropriate to analyze the various factors that have led to the flourishing of our language at the present time. The birth of Spanish (although the name «Castilian» is also perfectly acceptable, for a number of ideological, economic and political reasons, the various institutions and organizations for the study and dissemination of language and culture opt for the former in order to avoid controversy) goes back to the times of the Roman empire, when spoken Latin gave way to the Romance languages. After the Muslim invasion and the subsequent Re-conquest, the central dialects were assimilated in a common language which was gradually established throughout the Iberian Peninsula until at the time of Alfonso X the Wise it was officially recognized as a literary language. Therefore, it can be said that it arose from the merger of the different cultures that have settled in our country over the centuries with the logical constraints imposed by the historical, geographical and even meteorological conditions. The expansion of our language is mainly due to its spread in America, where it has been greatly enriched through contact with the various native languages, with which it still coexists today. It is one of the official languages of more than a dozen Latin American nations, such as Bolivia, Costa Rica, Cuba, Ecuador, El Salvador, Guatemala, Honduras, Mexico, Nicaragua, Panama, Paraguay, Peru, Dominican Republic and Venezuela, although it is also the most widely spoken language in others such as Argentina, Chile, Puerto Rico and Uruguay. In United States, the number of Spanish speakers has increased significantly in recent decades due to economic and social issues such as immigration. This spread has led to the birth of hybrid languages such as Spanglish and Portuñol. It is also the official language of Equatorial Guinea and has a considerable presence on the African continent, where it is spoken as a mother tongue in the various Spanish colonies and in the north of Morocco. Also, due to the migration of refugees, it can be found in countries such as Algeria, Cameroun and Nigeria. In Asia the Spanish speaking population of the former colony of the Philippines stands out particularly, despite the gradual imposition of English carried out by the United States authorities; not to mention the extraordinary growth experienced by the various communities in Europe and Oceania. In total, about 500 million people throughout the world speak Spanish as first or second language. It is one of the 6 official languages of the UNO, and of various international organizations, and according to certain estimates represents approximately 15% of the GDP of our country, with over 3 million related jobs. Do you think we are exaggerating? Well, bear in mind that it is now the second most studied language in the world (the number of students has increased significantly over the last few decades) and the third most widely used on the Internet, and that in countries apparently so distant from our culture and lifestyle as Russia or China, TV channels are now broadcast in Spanish. Some people say that thirty or forty years from now it will be spoken by 10% of the world’s population and will have exceeded even Mandarin Chinese. Time will tell whether or not they are being optimistic.